Highest quality, elegant yet comfortable, this condo is truly a destination in itself. 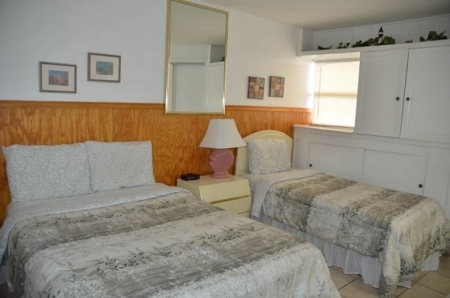 The vacation condo is located in a quiet, sunny spot on WHITE SAND St. Augustine BEACH . 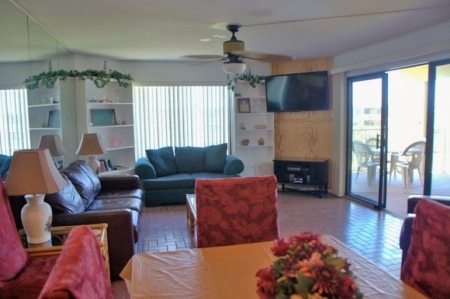 The OCEANVIEW CONDO HAS FIREPLACE,NEW GRANITE TOPS IN KITCHEN,BREAKFAST BAR+BOTH BATHROOMS. The OCEANVIEW CONDO has INDOOR,OUTDOOR,+KIDDIE POOLS AND JACUZZI. Enjoy cooking in the fully equipped kitchen complete with extras like, microwave, dish washer etc. The welcoming and elegant OCEANVIEW CONDO will immediately let you feel the typical atmosphere of a beautiful and relaxing holiday. Many interesting day excursions are available to places like historic attractions,bars, restaurants and golf. Of course swimming, shelling, gathering shark teeth, walking, surf fishing, and sunning on the seashore are everyday activities. This truly is an exceptional home, designed to meet your every vacation holiday need. Prices are subject to modify without notice. bring sunscreen do not eat too much. too many resturants to choose from!!! new granite breakfast bar too! THEN ENJOY YOUR MEALS ON THE OCEANVIEW PRIVATE COVERED PATIO!! Russ and I can not express enough how much we enjoyed staying at your beautiful condo. Your place had everything that anyone would everneed. We walked on the beach, cooked out on the balcony, saw the morning sunrise and danced to the sound of the waves. I have raved to all my family and friends and we have some beautiful pictures of our stay. I had a little cry as we packed up and left to return to the cold! We have thoroughly enjoyed our vacation at the Colony Reef Club property (#1304) during the month of March 2008. Last year our friends, Jerry and Becky Benson, encouraged us to reserve a unit given the good experiences they and their friends (Giacamo's, Juneau's, Halsey's and Supina's) have had at the Colony Reef during the past few years. We have been so impressed with the friendliness and conscientiousness of the staff and overall maintenance and care of the property that we are intending to return for two months in 2009. During our stay, our laptop computer was unable to access the Club's wireless internet system in our condo so I devoted a few minutes each day reviewing my e-mails in the Club's office reception area. While I was doing my computer work I had an opportunity to observe some of the daily activities of your office staff I would like to compliment you and your entire staff for your dedication and commitment to serving the interests of both the owners and renters of the Colony Reef Club. I was very impressed with the constant level of productive activity of your office staff: Gale, Rene, Nicole and you and your maintenance staff who were always busy with the work of the Club. Each person who entered the office was warmly and cheerfully welcomed by a member of the office staff and their inquiry (question, comment or complaint) was handled in a friendly, timely and professional manner. The staff demonstrated effective teamwork based on a good level of camaraderie and mutual respect for one another. I very much appreciated their willingness to allow me to use the reception area to complete my computer work. Rented this unit for the weekend to attend a beach wedding. The condo is very reasonably priced and well appointed. My wife and I stayed with 2 others couples comfortably. 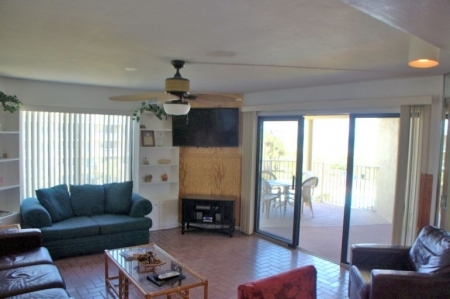 The location is convenient to the beach and all that St. Augustine has to offer, the unit was clean and private. Great ocean view near elevator with close parking. Will definetly stay here again and reccomend to all my friends. Excellent condo, neat and clean, great location, will rent again. The location was awesome! We had a 1st floor condo and it was very convenient. The condo was clean+ comfortable.THE OCEANVIEW CONDO and had all the amenities we needed for a very comfortable stay. Loved it! The 7 of us loved our stay in the colony reef oceanview condo@1410 this past weekend! Very clean and great view! all the activities were FREE 4 POOLS,SAUNAS,JACUZZI, GYM,FREE TENNIS FREE WIFI, FREE MOVIE CHANNEL THE CONDO WAS CLEAN AS A WHISTLE AND BEAUTIFUL THIS WILL NOT BE OUR LAST VISIT!